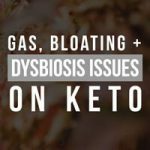 Many of us keto ladies have issues with our gut from experiencing sugar cravings, the fear that ketones will make candida worse, how to deal with gas, bloating, and digestive problems on keto. 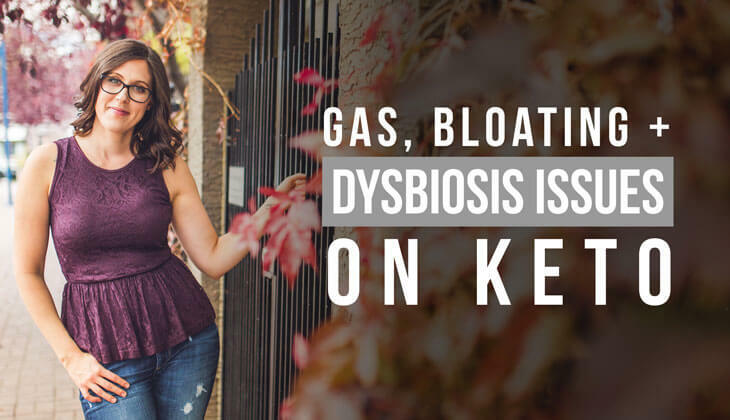 Keto ladies struggle with constipation, diarrhea, IBS flare ups and more. Whether it started well before keto, or as you started eating a keto diet. Our goal in today’s video is to run through gut issues and provide you with a couple of food sources of gut support to get you going. What is gut dysbiosis and candida? What are the symptoms? Are probiotics beat for the gut? How do we avoid the high cost of this keto supplement? What’s one step you can take right now to adjust keto to support your gut and weight loss? I’ve been on a bunch of book tours in the past, but couldn’t possibly get to every city. Instead of meet ya’ll physically, I’m doing a virtual book tour! From mid-April to end of June, I’ll be jumping on Instagram Live and reading book snippets to you from The Keto Diet Cookbook and Keto for Women, plus answering your keto questions live. Follow me on Instagram and watch for the alerts! PS: You can also join the live on YouTube.